How does an 80 year old use a seat back, touch screen interface? 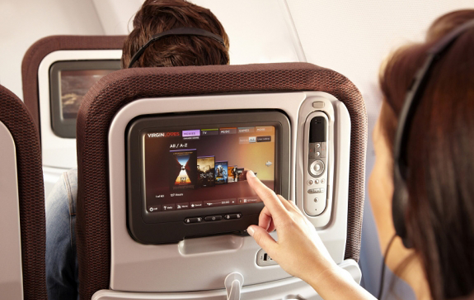 Having led the way in the introduction of In-Flight Entertainment (IFE) Systems, Virgin Atlantic wanted to explore future opportunities for development to engage customers of all ages. We conducted research into prototypes of a new IFE, employing our Learning Lab methodology to simulate someone boarding a plane and using the seat back controls, as they would naturally. An important part of the testing was with family pairs – parents and children – to capture the dynamics of the shared interaction. Working closely with Virgin Atlantic and design teams in London and Sydney, our clear communication led to fast design iterations. The result was an engaging, complete entertainment experience that excited young passengers, and was accessible to the older audience and infrequent flyers.